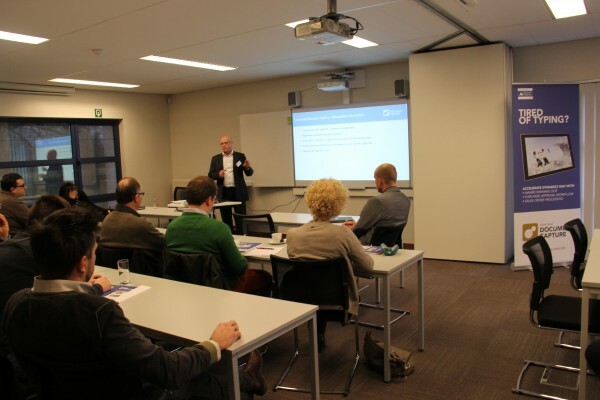 On February 26th we were invited by our partner IT Solutions to present Document Capture during their lunch seminary. At this seminary IT Solutions invited their customers for an introduction to NAV2015 and several partner add-ons, amongst them Document Capture. In between each session the customers were able to have a brief Q&A session on the each of the topics. We experienced during and after the sessions a genuine interest from the participants in this kind of partner initiatives and we were very pleased about the positive feedback on the presentations. A big thank you to IT Solutions for the great initiative and also for the invitation to the next session! Let us help you realize more business! How many times did you lose an opportunity because you did not have the proper resources available at the right time? We are happy to assist you in first presentations or workshops on our products via webcast, during customer events etc. Thanks to our product expertise we managed to close most of the sales for our partners after a first presentation. Feel free to ask Patrick how we can help you!